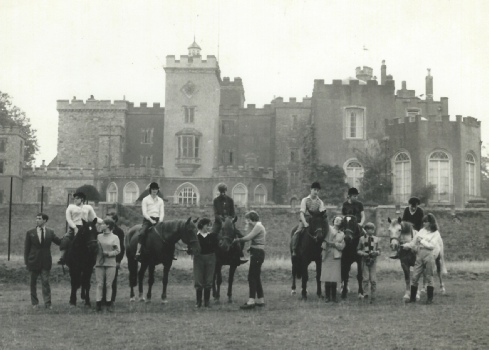 The Riding for the Disabled (RDA) Exeter Group began life in 1966 as the Powderham Castle Group. It was set up by Elizabeth Burne and her friends with invaluable help and support from the Earl and Countess of Devon who provided the riding facilities in the indoor school at Powderham Castle whilst the Powderham Saddle Club provided the horses and ponies. The Powderham Hoist, a device for mounting disabled riders onto their horses, was designed specifically for the group by J.K. Vivian and can still be seen in the Powderham Castle indoor school to this day! 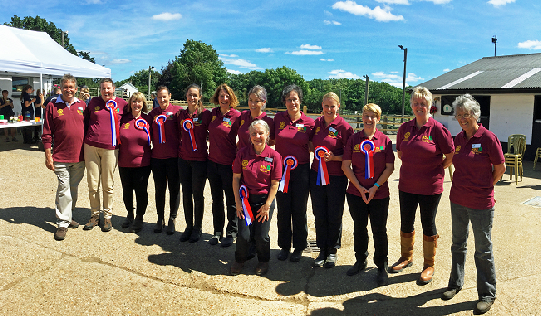 We became a member group of the national Riding for the Disabled Association on its formation in 1969. The late Elizabeth (Liz) Kerr of Kenton took over running the group a few years later and our current home is Oaklands Riding School in Exeter. Liz was awarded the MBE in 2010 for voluntary service to disabled children in Exeter. RDA Exeter Group meet every Tuesday from March through to December between 6:45pm and 8:00pm and use the large indoor school at Oaklands which enables us to ride all year round, come rain or shine. The group provides riding and therapy for children and young adults and relies totally on volunteers to deliver our riding sessions each week, which are completely self-funding. Too many to mention but we couldn’t do it without them!